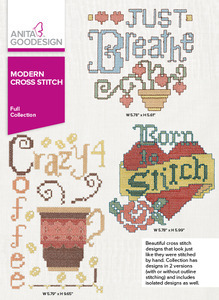 For the Modern Cross Stitch collection, we wanted to revamp the traditional elements of embroidery. The cross-stitch method is one of the oldest and well-respected techniques to practice. This collection uses the x-shaped stitches to complete this timeless look in a modern form. 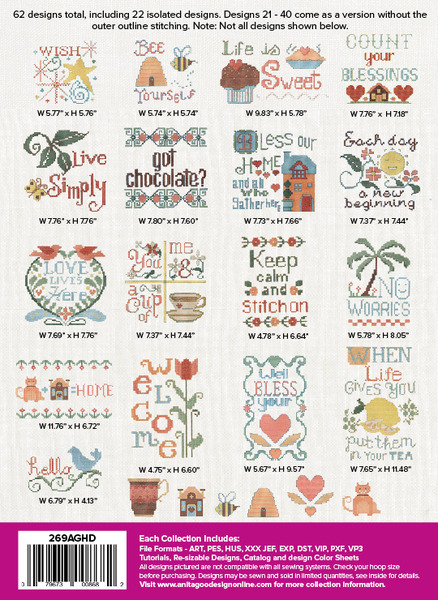 Use any of these 20 designs as embellishment on your favorite household items; kitchen towels, aprons or even a decorative welcome sign. These designs also include the option to incorporate an outline around each section to best suit your creative needs.